Enter “Brave Story,” the 2003 best-selling fantasy novel from famed mystery writer Miyuki Miyabe, and you’ll gain access to a whole universe of Japanese pop culture. Follow the adventures of Wataru, an ordinary fifth grader who enjoys video games, sneaking into the local haunted construction site and wondering about the new boy at school, Mitsuru. 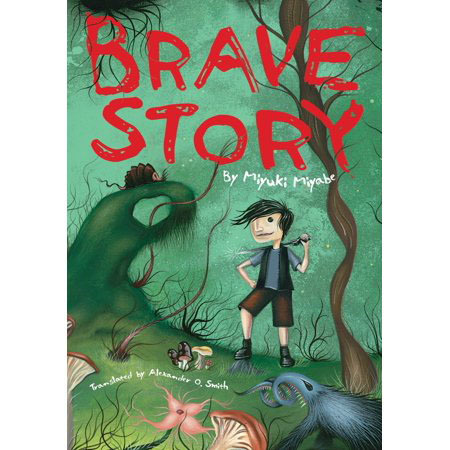 Brave Story, by Miyuki Miyabe, Translated by Alexander O. Smith. Wataru’s bland everyday is torn apart when his father suddenly leaves the family for another woman and his despondent mother attempts suicide. Spurred on by Mitsuru, who is not all that he seems, Wataru impulsively embraces an escape from his shock and anger, a secret portal to an alternative world called Vision. As a “Brave Traveler,” he must battle various demons and struggle with his own anger in order to climb the Tower of Destiny to seek relief for his misfortunes. Diving in and out of Wataru’s reality, the novel tackles pertinent adolescent issues that are juxtaposed against a supernatural realm of fantasy. Engendering a manga version, three video games, and a 2006 animated film, nominated for animation of the year in Japan, the novel is a media world itself. Translated by Alexander O. Smith, “Brave Story” earned the Mildred L. Batchelder Award, an American Library Association literary accolade that recognizes the best work of translated children’s fiction each year. It’s a great adventure, filled with the suspense Miyabe is known for.